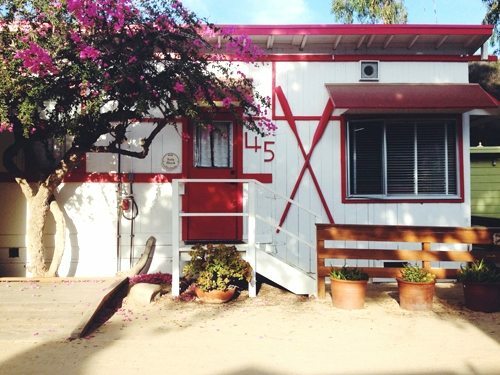 Crystal Cove historic district is a stretch of beach in Southern California that’s filled with the cutest cottages from the 1930’s and 40’s. 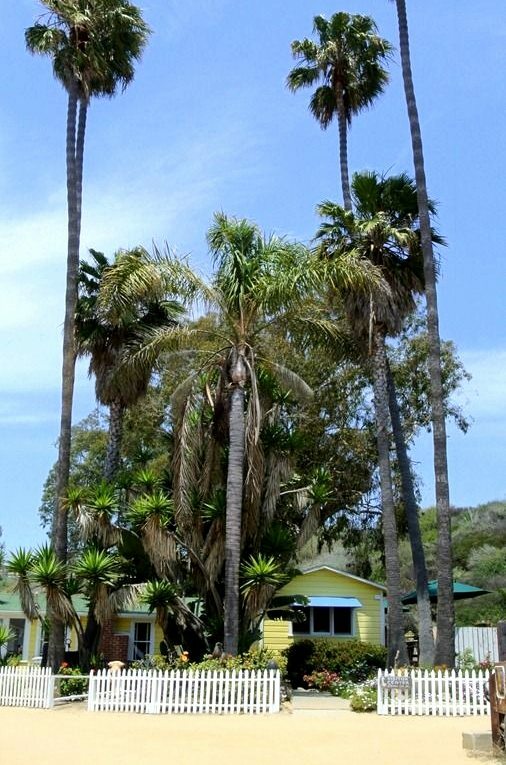 Twenty two of the cottages have been restored and can be rented through the Crystal Cove park system. Step back in time! Photograph by Jessica Cardelucci. 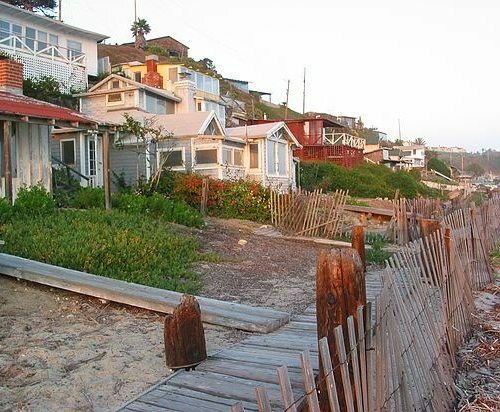 The quaint historic Crystal Cove beach cottages. Via. 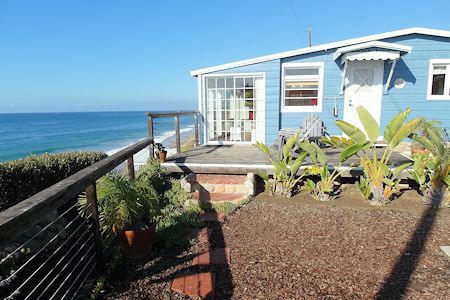 Historic Crystal Cove beach cottage number 33 via Murray on Travel. The view from cottage number 33. Featured at Coastal Living. Sunset at Crystal Cove. Photo by Pat Dwyer. 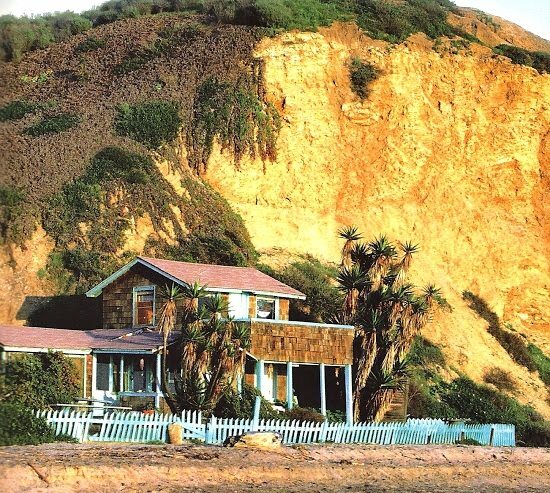 This cottage appeared in the movie drama Beaches (1988) starring Bette Midler and Barbara Hershey. 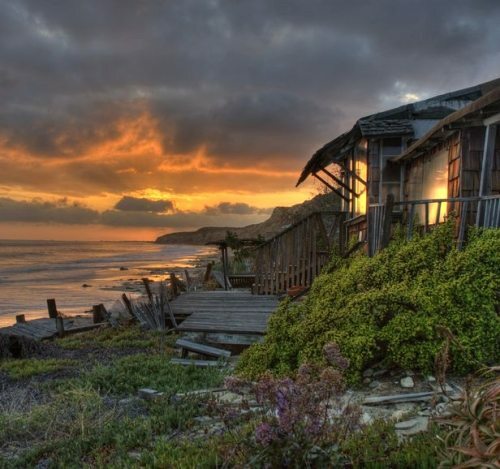 It’s on the cover of the book Crystal Cove Cottages: Islands in Time on the California Coast. Via The Polished Pebble. 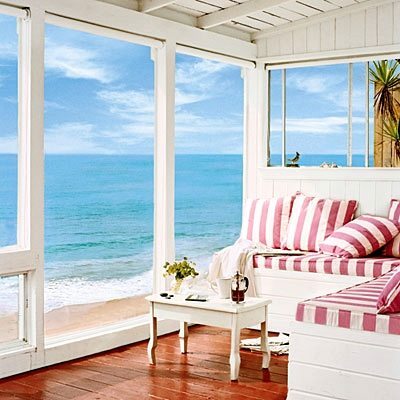 The “Beaches” cottage has been fully restored. Via I’m Not a Stalker. Cottage number 45. Via The House that Lars Built. 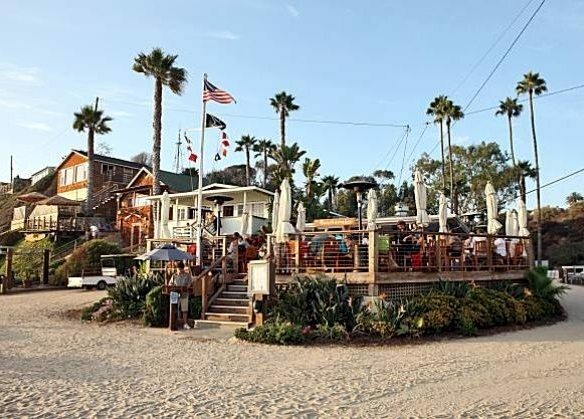 And right there at the beach in Crystal Cove, is The Beachcomber Cafe. The cool thing about the restaurant, it’s inside one of the cottages. Via SF Gate. 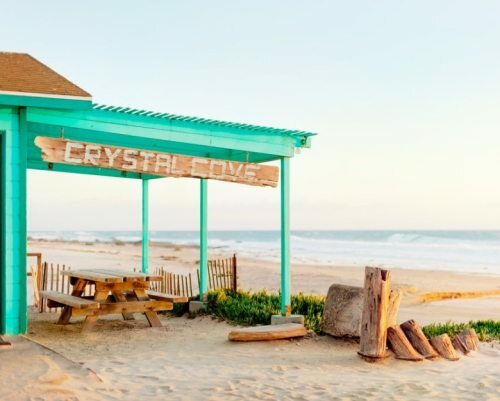 Everyone who has visited Crystal Cove seems to adore the place. The charming historic cottages, the restaurants (Beachcomber Cafe and Ruby’s Shake Shack), the little store and gift shop, the exhibit center, and, of course, the beach and views. So it might be a little difficult to get a reservation for a cottage. They say when you get to stay in a cottage at Crystal Cove, you can consider yourself a lottery winner! According to their website, reservations go on sale on the first of every month at 8 a.m. through booking agent Reserve America (800.444.7275). Callers can book up to seven months in advance. It is recommended to visit the Reserve America Website to pre-register to avoid wasting time the morning of the sale. But you don’t need to stay in a cottage to enjoy the place! Stroll the beach, visit the store, and dine at the Beachcomber Café, even attend the free tour of the historical district and cottages, offered on the second Saturday of every month. 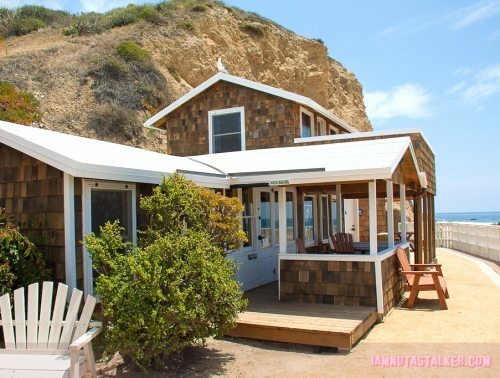 So head over to the Crystal Cove Beach Cottages website and View Individual Rental Cottages, as well as Read up on the History of Crystal Cove which involves the film industry. Crystal Cove Beach Cottages in the Crystal Cove State Park Historic District is located on the ocean-side of Pacific Coast Highway in Newport Beach, CA.